What better way to spend these sunny days than drinking good beer in The Short North? We love partnering with local breweries here at Arch City Tavern, offering our friends the best craft beer around. Whether you are an IPA enthusiast, stout fanatic, or light beer lover, we offer beer of all kind. Cool off with these summer drafts and give your tastebuds a flavor they’ve been missing. Quench your summer thirst with an all time favorite, Elvis Juice from Brewdog. This American IPA offers a bitterness that will push your citrus tolerance to the brink and back. This citrus flavored IPA is crammed with grapefruit, orange, and crashing pine aromas bound to give you the hoppiness you deserve. 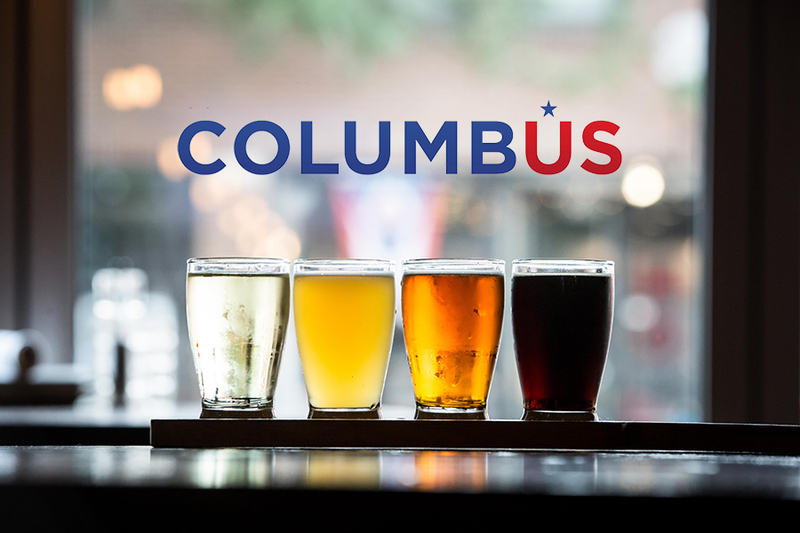 Take IPA to the next level with the double IPA offered by Columbus Brewing Company, the Bohdi. Awaken your senses with this extra hoppy beer, with a pine aroma and juicy citrus taste. This double IPA goes down a little too smooth, leaving you craving a second round. Enjoy a refreshing house brew with our Arch City Tavern Lager. If you’re looking for a clean, crisp beer to feel refreshed on these hot days, look no further than our Lager. We know a thing or two about beer, so trust us on this. You want one. Be sure to join us for Happy Hour every Monday-Friday, 3PM-6PM to get HALF OFF all drafts! What’s your pick?! Stop by Arch City Tavern and try all three! No Replies to "Cool Off With These Summer Drafts"